Quite simply - when you work with Insight Studios, you are working with me - Neil Grocholski. I am the guy that answers the phone, consults on your project, creates the strategy to increase your brand equity and marketing strategy, and most importantly - the guy that is actually designing your brand and materials. No outsourcing and no re-purposed graphics and solutions. Your work is created specifically for you. It is unique, strategic and yours. I take the time to understand your business, your goals, your market and your competition. This is the key to successful brand building. Looking and acting like the other sheep does not work. Stand out from the flock. Oh, and.. because I have great hair. To help clients succeed in their branding and marketing efforts while conducting our business on a socially responsible and an environmentally conscience path. Insight Studios has been helping build businesses by providing strategic and creative design solutions since 1997. Would you use a stapler to make coffee? Sure your nephew is good with computers (a real whiz-kid), but should you trust him to manage your brand identity or website? With over 20 years of design and marketing experience, Insight Studios is the right choice to maximize your business' potential. Brand identity is an asset; a business tool used to communicate with customers, employees, investors and other stakeholders. It increases the reach of your message and strengthens your customer relationships. Done right, a solid brand identity sets you apart from the competition and improves your bottom line. Think you can't afford professional graphic design and web development? Insight Studios works with many types of start-ups, not-for-profits, and small to mid-size companies. We work within your budget, giving you the maximum bang for your buck. Based in Nanaimo, BC and Calgary, AB, Insight Studios is lean, agile, full-service graphic and web design studio. In business for 20+ years, we understand the complexities of business. We are experts in building communications solutions for companies that need to stand out from the crowd and rise above the mediocrity of the market place. Insight Studios delivers the results of a large design agency without the costly overhead. This agility means that we can offer personalized service and custom-tailored design packages with exceptional results at an efficient rate. All of our services are created and maintained in-house with no outsourcing. Proven experience in logo ("brand") development, packaging, websites and much more, we are experts at meeting and exceeding your goals. Our proof is our portfolio. We want to show you what we do and how well we do it. Insight Studios creates strategic and creative solutions for companies in need of branding and brand awareness. This comes in the forms of brand identity to physical and digital marketing materials and advertising media. We start with an information gathering meeting. We find out what you need, and if it's a change, what it is that's not working for you. We learn about you and your desired state, your stakeholders, and most importantly, your message. We plan all details of a project to ensure you get exactly what you want, within budget, and with no "surprises" along the way. Our creative products get results. Insight Studios believes in building long-term relationships with our clients because we firmly believe that your success is our success. We work closely with you during the development stage, and provide continued support long after the initial project has been completed. I have a successful real estate business in Nanaimo, BC and needed to re-brand my website to reflect the changing, responsive requirements of doing business on the INTERNET. I selected Neil Grocholski after meeting him and reviewing his portfolio; I was intrigued by his extensive background in real estate project marketing and what it may add to my residential real estate business. My expectations were exceeded. Neil helped the re-development and launch of my website, robgrey.com. While Neil designed the site, he assisted with all levels of the website from start to finish, providing invaluable expertise. Neil's design talents are excellent and he complements this with timely responses to questions and doesn't hesitate to provide thoughtful feedback in all aspects of the complexities of website construction, design and launch. Neil was professional, personable, and a genuine team player in helping my business. I highly recommend Neil and Insight Studios and enjoy working with him. The Cole Group has worked with Neil Grocholski and Insight Studios for almost 10 years. He has taken the time to get to know our company, it's culture and what we're all about, which we found to be quite refreshing. He has taken that knowledge, applied his marketing know how, and done some wonderful things for us. Smart young man and fun to work with. 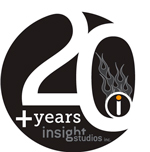 Insight Studios should re-work its marketing strategy to something like outtasight. Impressive layouts are just part of what insight brings to the table. Whatever we need Neil takes care of us, you wanna know what he can do? Try them and you will need to work with them on every project you imagine, just like we do. Harington Telford VP Marketing greengate garden centres ltd.
We strongly recommend the Insight Studios Inc. team of personnel. Not only are they original and creative, but they took the time to understand our needs and customize their approach. We found them to be readily available and responsive to our requests. We have had many complements regarding the logo and promotional materials prepared for us by Insight Studios. "I had the distinct pleasure of working with Neil when he so generously offered to donate his services to The Grateful Heart Foundation, in support of Canada's elderly and the care and protection of animals. I was consistently impressed with his can-do attitude, his ease of availability (even though I knew he was juggling multiple priorities, he always made me feel I was his most important client) and well-rounded expertise. I found Neil to be very creative, technically savvy, endlessly patient and unexpectedly generous. I can't recommend Neil highly enough, knowing he can be counted on to go the extra mile and always with a genuine smile on his face. The consummate professional, Neil is a true delight." 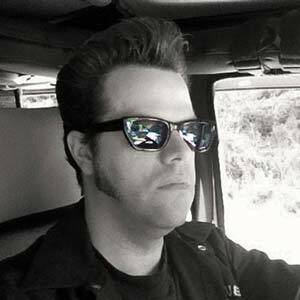 "Over the past eight years, I've worked with Insight Studios on three different projects with three different companies. The projects were to formulate the company image. The challenge was to capture the uniqueness of each identity. Insight Studios excelled at this challenge by delivering a professional, quality product. The last project included designing and implementing the company web site. Insight Studios was easy to work with, easily grasped concepts and delivered the goods in a timely manner. I plan on using them again. " "We've been working with Insight Studios for over 5 years now. Not only is their work consistent and high-quality, but on-time as well. We've had nothing but good experiences. Insight Studio's willingness to work within our budget, as well as to coordinate with other designers and photographers we may be working with, is truly unique. They are one of the most reliable graphic professional teams we've ever worked with, and we can always count on them to provide us with a high quality, creative product." "Insight Studios was able to take our store vision and create a fantastic new logo that suits our needs perfectly. We have had a ton of compliments on our new logo and have used it on everything possible. Insight Studios was easy to exchange ideas with and a pleasure to work with."